I picked up my new toy on friday lunchtime, weather was not too hot, but dried up as day went on. Managed to get 66 miles of smiles on the clock.! 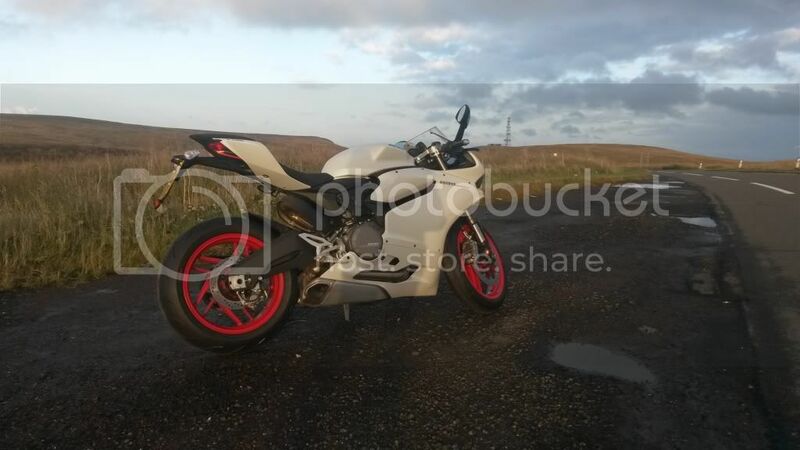 Not disappointed at all -the otherhalf has the Panigale S and I have had a trip or two on that. I had a monster previously, and still have my KTM RC8 to play on. Pretty sure that you're the very first to have taken delivery. Congrats! Definitely post more on your experience with it so far. The weather has been miserable and blowing a gale, tuesday looks to be good fingers crossed for more play time then! 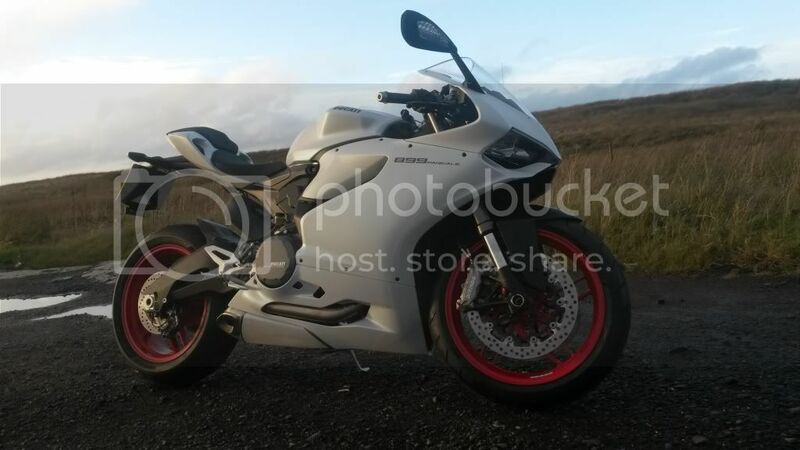 ..
photos of it beside the RC8 please!!! welcome to the forum and congrats! 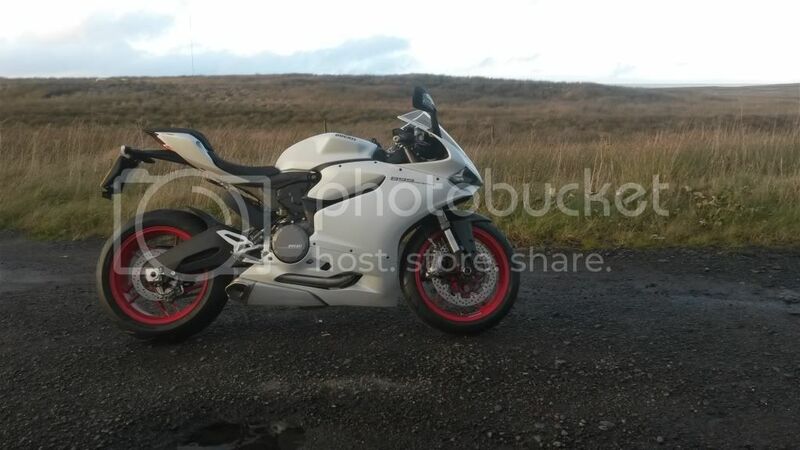 I think you are the first owner of a 899 on this forum. it will have termis on it.. but i couldn't let it sit in the garage till they arrived!! that would be awful..